Sandboxes became prevalent after security pros realized malware was making its way past antivirus software and infecting networks. 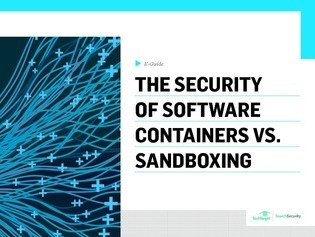 Inside, security expert Matthew Pascucci identifies the differences between software containers and sandboxing and dives into the security benefits within the two. Learn more about the security tactics of the two and uncover which is more fitting for your organization’s security needs.